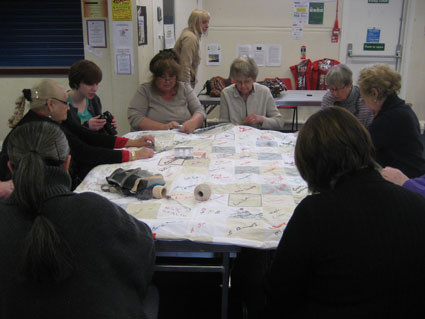 We had a wonderful turnout at FYCreatives on Wednesday 6th April where all the groups involved could meet and see the completed quilt displayed publicly for the first time. Lynn Setterington gave and artist talk and then cut out wedding cake which everyone involved enjoyed! The Wedding Quilt is in the process of being packed up to be sent to St James’s Palace at the end of this week. Everyone is working very hard to finish the quilting this week. 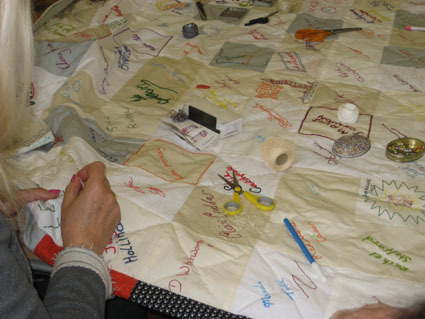 It is great to see it all come together and everyone’s delight at finding their signatures and stitched images of Blackpool dotted around the quilt. 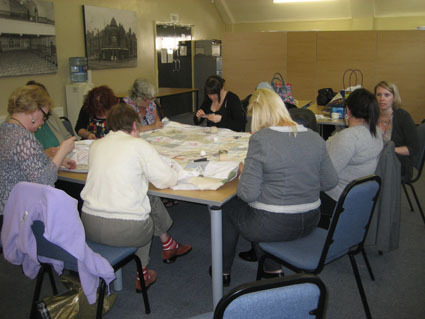 The quilting started in earnest this morning at Claremont Park Community Centre. The top sheet has now been assembled and this was the first time people had been able to see how the finished piece would finally look. 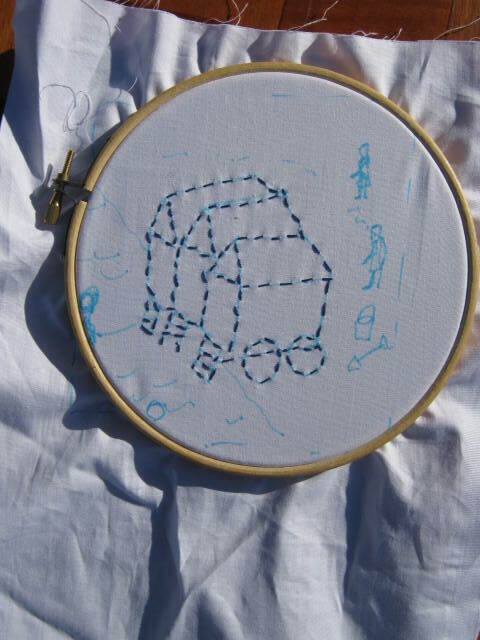 Quilting sessions are taking place all week, and if you would like to get involved it’s not too late! There is a session open to the public at Horsebridge Community Centre during the Open Door Project table top sale. Wednesday 30th March from 1.30-3.30pm. 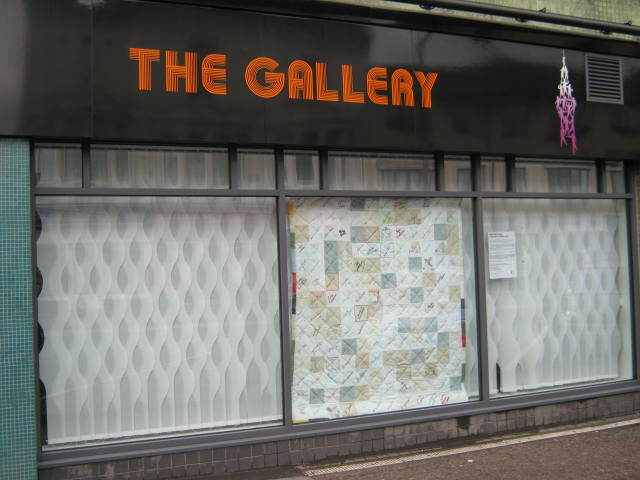 Don’t forget, the Wedding Quilt will be on display from Monday 4th April for 1 week at FYCreatives, Church Street. 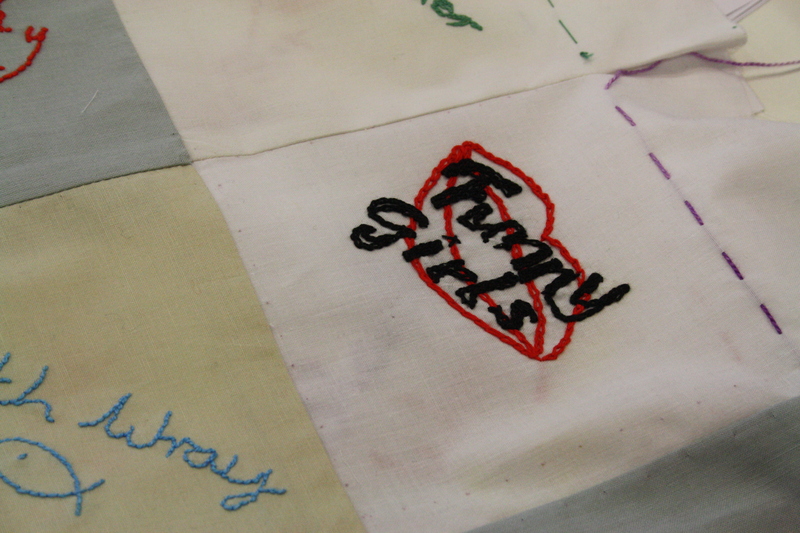 Detail of the ‘Funny Girls’ logo, emobroidered by one of our community group members.